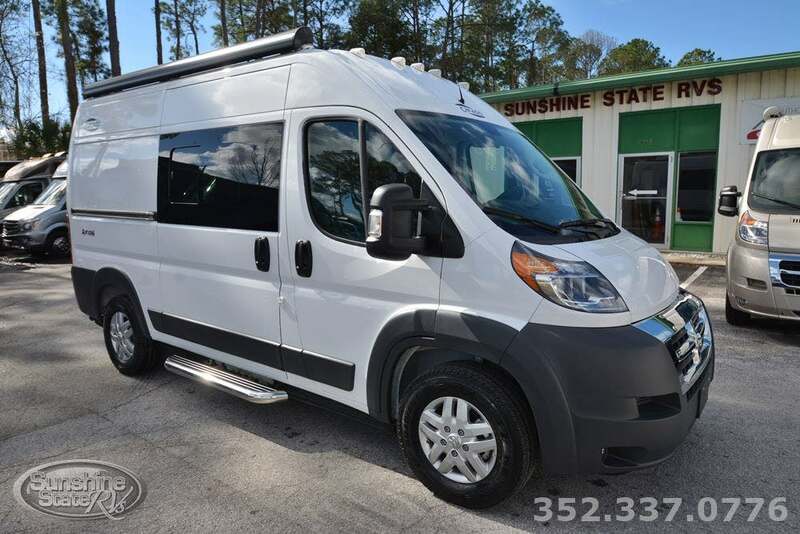 2019 CARADO AXION **FULL ECOTREK TECHNOLOGY** THIS AXION IS 17 FEET LONG AND IS FULLY LOADED. IT COMES EQUIPPED WITH ECOTREK 400 LITHIUM BATTERY MODULES, 200 WATTS OF SOLAR, UNDER HOOD GENERATOR, 24' LED TV WITH BLURAY PLAYER, NAVIGATION/BACK UP CAMERA AND A FULL-SIZE AWNING. IT IS THE SMALLEST CLASS B RV ON THE MARKET! IT HAS A SOFA IN IT THAT CAN ALSO BE A FULL-SIZE BED. IT HAS A REAR BATHROOM WITH SINK AND SHOWER. THE DODGE PROMASTER V6 ENGINE GETS 20 MILES PER GALLON. DON?T MISS THIS GREAT LITTLE RV!! MSRP IS $85,033. CALL NICK FOR THE BEST PRICE AT 877-773-9557 . THIS AXION CAN BE DELIVERED ANYWHERE IN THE COUNTRY ALSO!